Happy Monday all! 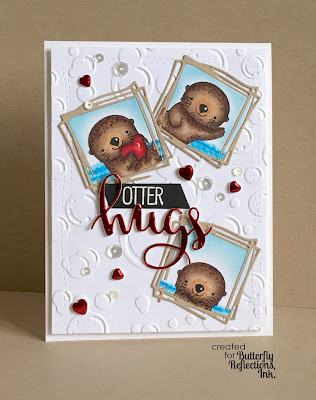 Kim here with you this morning for Butterfly Reflections Ink featuring the wonderful MFT Otters! For my card I started with a Neena Solar White card base and embossed it with a Tim Holtz/Sizzix embossing folder. I then die cut my frames (Poppy Scribble Trio Frames) out of Kraft and Neena. The Kraft for the actual frame and the Neena to stamp my otters. I Copic coloured my otters and tried to get the same colours as my inspiration photo (E42, E43, E44 and E47 for the body, E30, E31 for the nose surround and R22, R46, R37 and R59 for the heart). I made my own waves using B00, B02 and B04) I then used Tumbled Glass Distress Ink for the sky. I put my frames together and then used Stick It adhesive with craft foam and my red shiny card stock then die cut it with the Avery Elle Simply Said Hugs Elle-ments. I then embossed my "Otter" sentiment from the same MFT Otter set with white embossing powder and cut my black card stock to size. I put the last elements on the card and added some Neat and Tangled sequins from the Peppermint Stick Sequin Mix and I also die cut the hearts from the same foam/shiny paper with Lawn Fawn hearts. CFC166 - Music to my Ears! 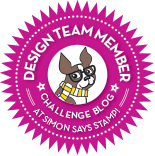 Time for another fantastic challenge over at the CAS-ual Fridays Challenge Blog! The challenge is all about Music to my Ears! 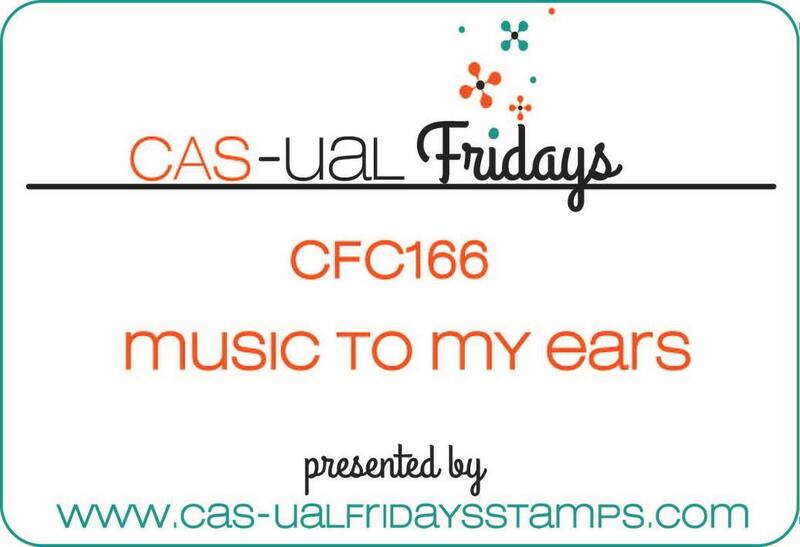 For those of you familiar with the CAS-ual Fridays stamps and Fri-Dies collections, you will know that the music inspired product is simply wonderful! I started with a Neena Solar White panel and used a mix of Spun Sugar, Picked Raspberry, Candied Apple and Wilted Violet Distress Inks. It takes patience on Neena Card stock but the results I find are worth it! 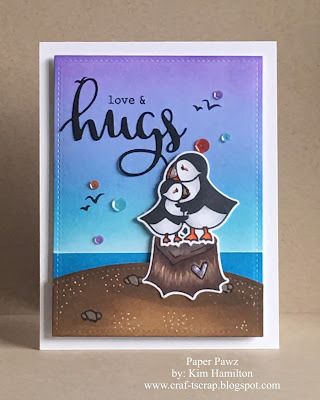 I then used a sentiment (You are the song in my Heart) from the Love Notes stamp set and used the same Distress Inks to get a tone on tone impression all over the background. I die cut my panel with a circle die and the Double Note Fri-Die from gold glitter paper with foam on the back for dimension. 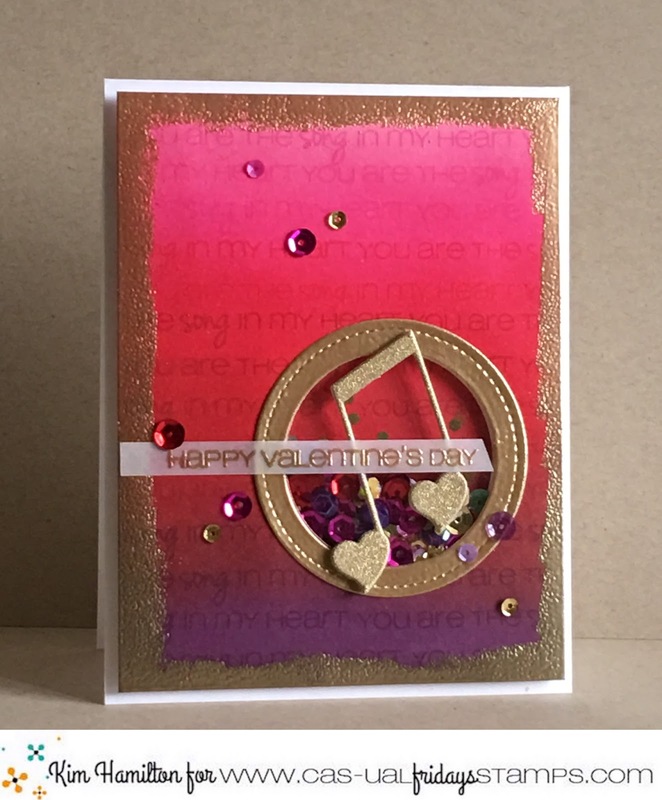 I then die cut a circle frame and used gold embossing powder for the opening. I turned the circle into a shaker, before putting the card together I felt it needed a little more so I added VersaMark Ink along the edges of the Distress panel and used the same gold embossing powder. 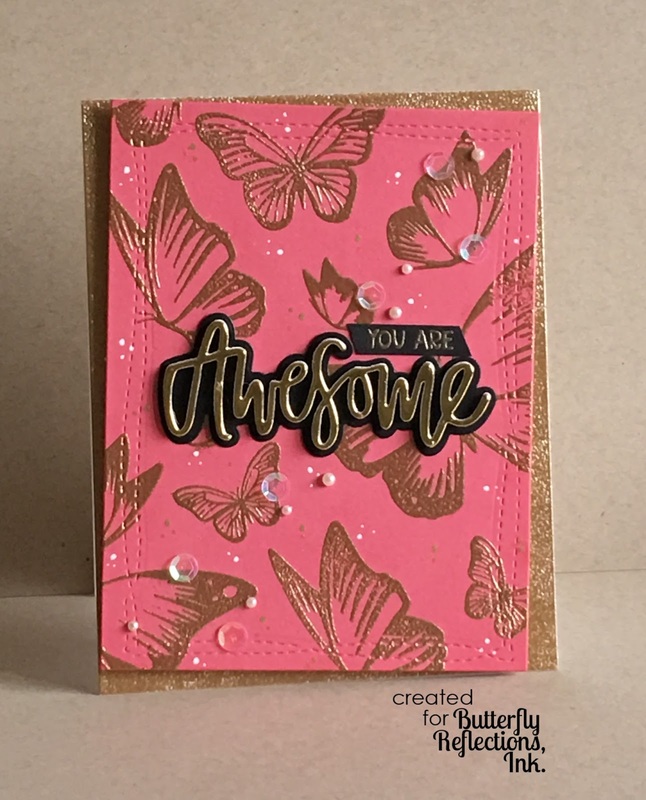 I put the card together and added my Vellum sentiment (also embossed in gold) from the same Love Notes stamp set and put the card together. I, of course, topped it off with a variety of sequins! My project today features the beautiful Avery Elle Butterflies! I put the top panel together and added some dots with my white and gold gell pens for added detail. I then sprinkled some Tailored Expressions sequins and some small pearls. 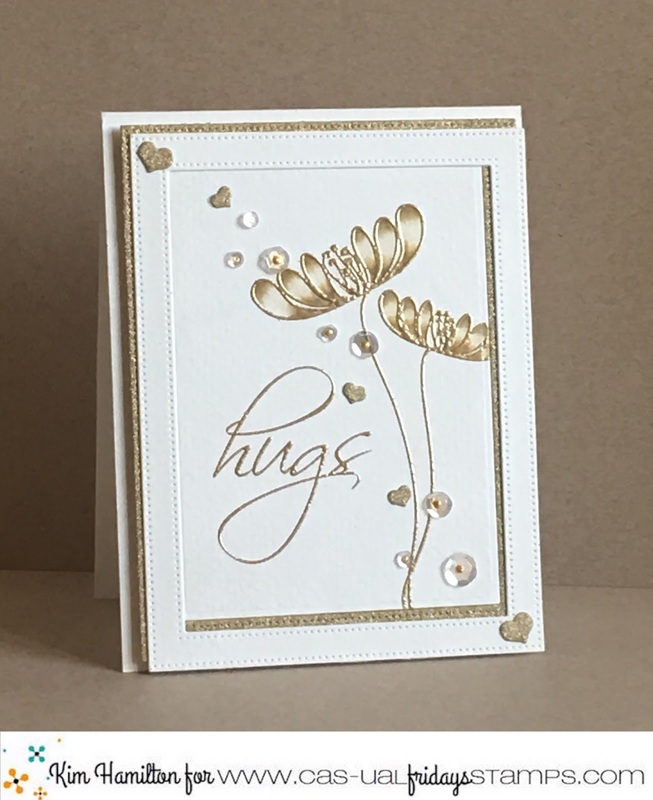 I felt that a white card base didn't fit the design so I added VersaMark around the card edges and used gold embossing. I much prefer the way it turned out! This will go to an awesome friend, who, unfortunately lives way too far away! This stamp is from a company that is new to me Dare 2B Artzy. I picked it up because the cat made me think of our cat Tigrou (French for Tigger). I colored him like my Tiggy! 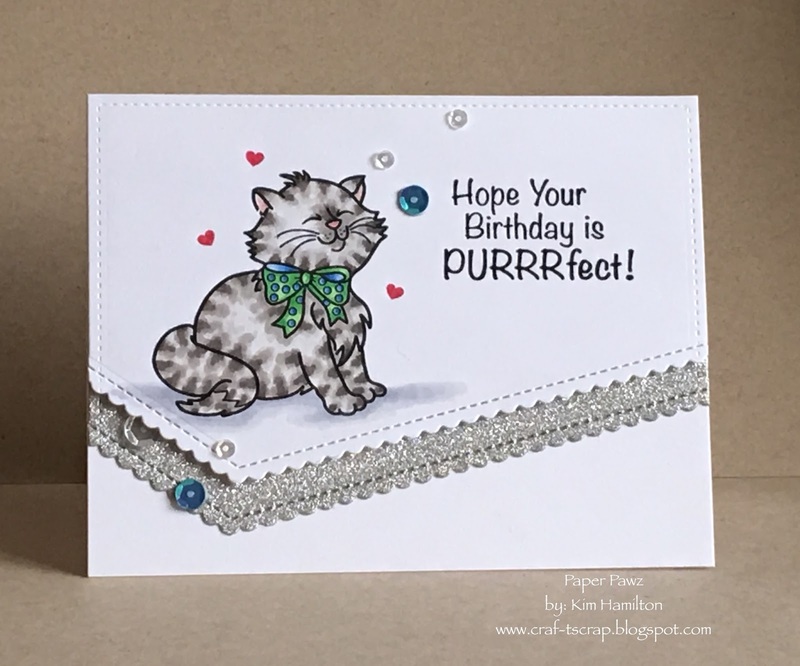 The stamp set is called Purrfect Day. The border die is by My Favorite Things... Love this set of border dies and I want to pick up the new die-namics set like this in different shapes. The silver glitter paper is also by MFT the hearts are by Lawn Fawn. 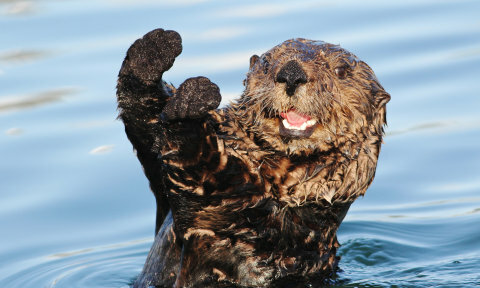 Have a great day, finally Friday!! I don't know about you, but I am not a fan if winter. I don't know why I still live in Montreal in the winter months. It hasn't been too cold or successive snow storms but we have had a mixed bag of precipitation which is frustrating. So, I needed to be on a beach! What better than a fun beach scene featuring Lawn Fawn! 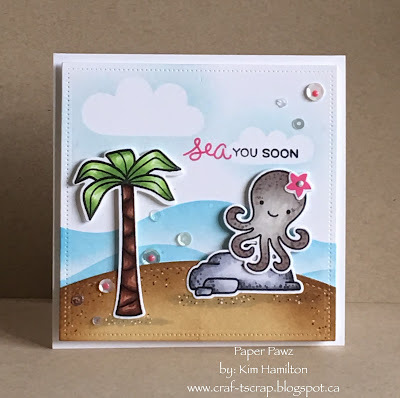 I used Octopi my Heart, Mermaid for You (rock and sentiment) stamp sets and the tree is from Critters from the Past. I Copic coloured the images then used the coordinating dies. For my background I die cut a Neena Solar White panel with the largest of the smaller Dotted Squares. I then used the Stitched Hillside Borders and the Spring Showers cloud dies to cut masks. I used a mix of Tumbled Glass and Salty Ocean Distress Inks for the water and only Tumbled Glass for the sky/clouds. I then die cut another square and used one of the Simple Stitched Hillside Borders for my "beach" then used a mix of Antique Linen and Gathered Twigs Distress Inks. I added some dot detail with the Gathered Twigs and Ground Espresso Distress Markers along with my White Gellyroller. I stamped my sentiment with mix of Lawn Fawn Pink Flamingo Ink and Versafine Onyx Black. I then put the card together and added some sequins. Happy Monday! 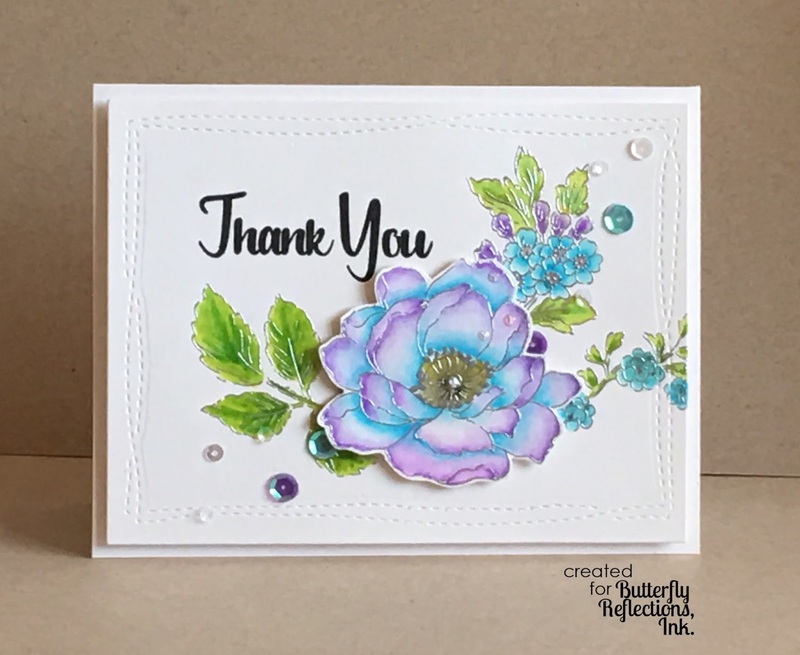 Kim with you this morning and I am sharing a thank you card featuring Altenew! I don't know about you, but when January and February are around I need flowers! I rarely use blues and purples, but I felt the choices were fitting for a winter thank you. I started with Bristol cardstock because I wanted to use my Zig Clean Color Real Brush Markers. I cut the base panel with Avery Elle Wonky Stiches Rectangle die - this is one of my favorite dies for base panels. I lined up my stamps from Altenew's Beautiful Day to make sure I liked the placement before stamping the leaves, and small flowers in the background. I stamped them using my Misti Stamp Tool with VersaMark Ink and then Silver embossed my images. I then stamped my largest flower on another piece of Bristol also using VersaMark and silver embossing powder to cut it out and pop it up using foam tape. I usually just use my Zig markers and blend them together, but I wanted a lighter watercolor feel for this project. I started with my blues at the base of the big flower and worked the color out with my water brush. Once that dried, I began with the purple and I then did the background flowers and leaves. I used 036(Light Blue), 031(Cobalt Blue), 083(Lilac), 080(Violet), 045(Panel Green) and 047(May Green). For the sentiment - from Altenew's Adore You - I used Versafine Black Onyx Ink (my favorite for sentiments). I cut a card base also from Bristol paper, I wanted the color to match and the weight of Bristol is great for a card base! The sequins are a mix of sequins from Taylored Expressions. 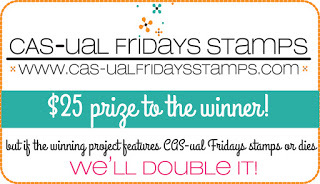 Time for another CAS-ual Fridays Challenge!!! This week, the challenge turns gold for CFC165! I actually used watercolour paper for the texture and more yellow-toned colour. I like the warmth it added with the gold instead of pure white. I used the Truth Is set for the flowers and the sentiment is from MWAH. I used my Misti for stamp placement and to be able to stamp multiple times with my VersaMark Ink. I felt this was a good idea due to the texture on my watercolour paper. 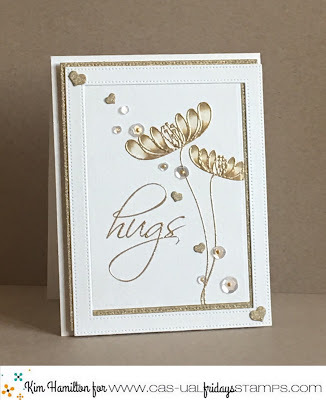 I added fine gold embossing powder to both the flowers and sentiment. I added a little Copic shading to the blooms using Y26 and Y28. For those of you familiar with Copics and the Y28, it has an actual gold tone/shimmer (best way I can describe it). I used the more deep yellow Y26 to blend slightly. I like the way it turned out! I then die cut a gold glitter frame and offset the watercolour top panel for the glitter to show through slightly. I then die cut some hearts from the CAS-ual Friday's Fun-Fetti Fri-Dies and placed them with some sequins to finish off the card! Happy Monday! This is Kim and I am so very excited to be sharing my first post with you for Butterfly Reflections Ink! This is making my first day back to work after a two-week break a happy one! 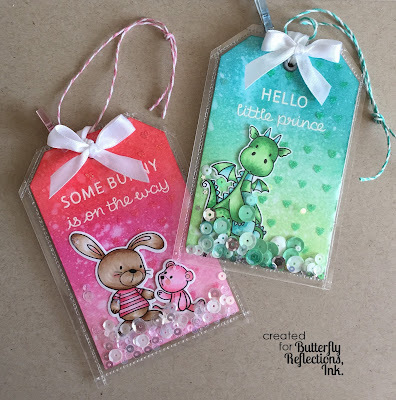 I am sharing baby gift tags today, one of my friends is expecting and not sure what she is having so I made one of each! I used my We R Memory Keepers Fuse Tool for the first time and loved it! I cut my own Tim Holtz watercolor paper to the size of tag I wanted (2 3/4 x 4 1/4) and cut the edges with my trimmer. 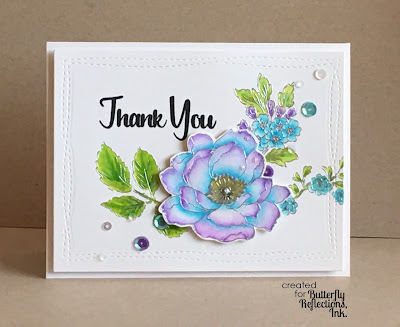 I stamped my sentiments that are by Lawn Fawn Hello Baby with VersaMark ink and used white embossing powder. For the girl tag I used a mix of Spun Sugar, Picked Raspberry and Abandoned Coral Distress Inks and for the boy tag I used Peacock Feathers, Cracked Pistachio and Twisted Citron Distress Inks. I sprayed both tags with some water and dabbed it off. I then stamped my images by My Favorite Things Snuggle Bunnies for the girl and Magical Dragons for the boy. I colored my images and then fussy cut the dragon (should have bought the dies) and die cut the bunnies . I then glued them to my tags and fused my plastic (left an opening to add the sequins, in hindsight I would have left some margin room on either side for a little give to add the sequins). The sequins are from Tayored Expressions for the girl tag in Snow Flurries and for the boy tag by Lucy's Cards in Mint. Thanks so much for taking the time and I will be back next Monday with another project! 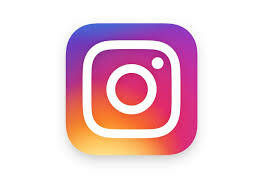 I don't know about you, but I am in serious need of happy colours! What better than a rainbow and Altenew flowers! 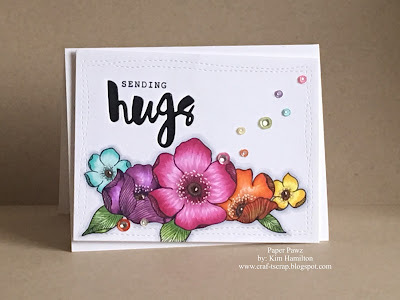 The sentiment Hugs die is by Simon Says Stamp and the Sending is by Mama Elephant. I topped it off with a rainbow of sequins and some gems! Nice quiet New Years Sunday :) Spending the day with my husband and pets, quit nice really after the hustle and bustle of the last week! I am playing with some new sets that I ordered before Christmas. Must say it's fun to work on different projects. I love Puffins, they are the sweetest birds, I was lucky enough to see some on a trip to Newfoundland. thought sending love and hugs on New Years was appropriate! I used Distress inks on Neena Solar White if you use a light hand the blending is beautiful! For the sand, I used a mix of Antique Linen, Gathered Twigs and Ground Espresso then added some white gel pen dots for texture. For my water, I used some PostIt tape and a mix of Salty Ocean and Mermaid Lagoon. My sky is a mix of Tumbled Glass, Shaded Lilac and Wilted Violet. I then used the puffins, seagulls and rocks from Avery Elle's Love Puffin set and I coloured the puffins with Copics. I also used the tree stump from Wood You? And finished it off with he Avery Elle Hugs die and the smaller sentiment is from the accompanying Simply Said Hugs stamp set and, of course, Pretty Pink Posh sequins. 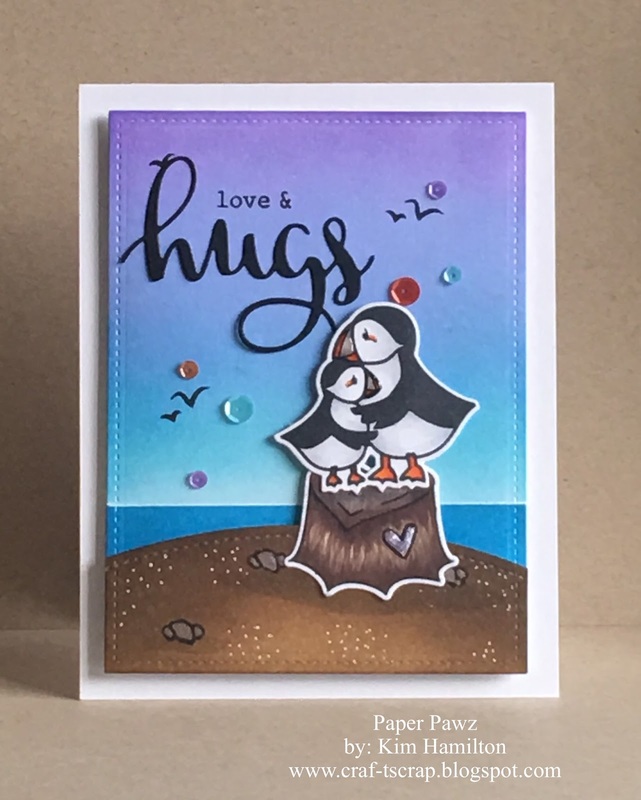 Labels: Avery Elle, Copics, Distress Inks, Love Puffin, Pretty Pink Posh sequins, Simply Said Hugs, Wood You?